Last August a working group of EVOC’s Children, Young People and Families Network met to discuss co-producing ideas for system change within children’s services. The group identified family support as a priority area for investigation. Join us for a thinkSpace event that will bring together third sector organisations in Scotland, as well as representatives from City of Edinburgh Council and NHS Lothian, to develop ideas around system change to improve the lives of Children and Young People in Edinburgh. The purpose of this meeting is to build shared understanding- of change, systems, barriers and solutions- so that we can move on to a more in-depth conversation with The Children’s Partnership in Edinburgh. Build stronger strategic collaboration between relevant third sector organisations on partnership and prevention in family support. Find two or three test of change ideas that focus on prevention to take forward in partnership with the public sector. Mobilize relevant third sector organisations to continue to build on partnership and prevention strategies with the public sector over the term of the Children’s Services Plan. Eddie Kane from Barnardo’s Scotland and Andrew Murray from Safe Families for Children Scotland will be presenting their learnings from the consortium North-East Together. 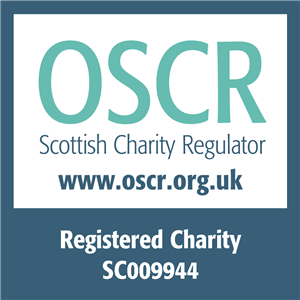 The consortium is made up of third sector organisations in North-East Glasgow, who have been working together to expand the capacity of the third sector to take on more families who don’t require long-term statutory intervention. Analysis of data has shown that a sizable proportion of referrals involve low-level crisis intervention, poverty and/or social isolation. Many of these referrals could be taken on by third sector organisations through improved partnership working and support. A wide range of members from the Children, Young People and Families Network in Edinburgh will also be presenting their learned experience and test of change ideas. The outcomes, ideas and discussions generated at this event will inform dialogue between all partners that provide Children’s Services in Edinburgh about improving early support for families. A joint event involving EVOC and Children’s Services is scheduled for June 19th 2018 to further investigate system change. Annually, EVOC seeks to review its work over the last year, and we’d really like the third sector organisations we work with to have their say. Whether you’ve used our training, come to us with queries, or participated in networks, we’d like to hear from you. As part of this review we are inviting our third sector partners to answer a few short, multiple choice questions which will help us to shape our vision and work for the coming year. Please help us to evaluate our work by completing a short user survey. It should take less than five minutes to complete and is entirely anonymous. Please note, the deadline for submissions is Friday 29th April. Edinburgh’s inaugural ‘Compact Third Sector forum’ will be held on Monday 18th May from 10am – 2pm at Edinburgh City Chambers. The intention is that this event will develop to be the primary opportunity for representatives of the communities & neighbourhoods committee to meet a broad cross-section of people from Edinburgh’s Third Sector, for a frank and open exchange of views. View the Third Sector Forum invite & the Event Programme. We expect interest in this event to be high and therefore need to limit attendance to one representative per organisation. Places will be allocated on a first come, first served basis. The City of Edinburgh Council is consulting on Concessionary Lets. to discuss the Draft Concessionary Lets Policy. Both events will take place at 14 Ashley Place, EH6 5PX. To confirm your attendance at one of the events, please email Dianne with your preference. The Substance Use Network Edinburgh (SUNE) will be holding its AGM on MONDAY 24TH FEBRUARY 2014 from 12.30pm to 3pm at EVOC, 14 Ashley Place, Edinburgh, EH6 5PX. At the AGM SUNE will be looking for a new chair to lead the Network for the coming year. There are challenging times ahead, with the focus on Collaborative Commissioning and ensuring the Sector is ready to engage with Alliance Contracting. SUNE needs someone with strong leadership skills, a good understanding of the sector, who is able to represent the Sector at strategic level and, who can devote around 2 days a month to the work. There will be a need to meet/liaise with the EVOC staff member (currently Kate Kasprowicz) who does the support function to the group. In all we estimate around 15-16 hours a month. Unwaged. The EADP and SUNE are entering into an exciting time of change and development which will potentially change the way that people will receive help around substance use issues, including harm reduction, treatment and on-going recovery support. SUNE have been very proactive in the movement from competitive tendering to a collaborative approach which in turn will lead to alliances being formed to take future work forward. Challenging, but also exciting. Collaborative Commissioning is a new approach and other services will be watching how we manage this process. Please send nominations for the new chair to Kate Kasprowicz by Friday 21st February. If you would like to talk to the current chair and find out more about what’s involved, please phone John Arthur on 07894244071. The Chair of SUNE does not have to be a paid member of staff from a member organisation; it could be a Board member. Do you have a Board member with the skills SUNE needs, available during the day and who would relish being a Third Sector Lead? If so, a bit of encouragement may be all that’s needed. Looking forward to getting your nominations, plus a paragraph about the skills and experience of your nominee. Nominees will have to be seconded and if there is more than one there will be an election at the AGM. In the New Year EVOC and Pilmeny Development Project will be launching a new project called ‘Local Opportunities for Older People’ or LOOPs. Vulnerable or at-risk, socially isolated older people who, for whatever reason, are not accessing services – this might include from specific equalities groups, for example, older lesbian, gay, bisexual or transgender [LGBT] or black or minority ethnic [BME] older people who find services difficult to access. Older people who have undergone some form of assessment but have been assessed as ‘low’ to ‘moderate’ need who need to be signposted to additional community based preventative services or social activities. 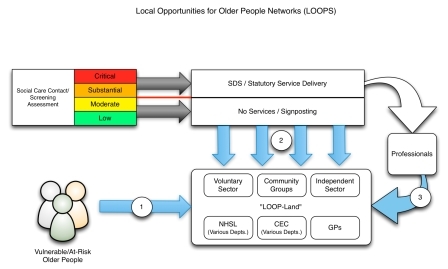 Older people who have been assessed as requiring services but who would benefit from additional community based services or activities: this might include older people who are undergoing a transition, perhaps from a more clinical provision to provision within the community. What do you need in your community to access the most socially isolated older people? How can EVOC and Pilmeny Development Project work with you to develop these underdeveloped referral routes? What barriers are you experiencing in developing successful partnerships with other local organisations? How can we support older people to access the right services or activities at the right time? Please contact Stefan Milenkovic on 0131 555 9100 or visit the LOOPs page for further information. The Edinburgh Health and Social Care Partnership is seeking people to provide both a service user perspective and a carer perspective to the Partnership. The Partnership is comprised of the City of Edinburgh Council, NHS Lothian and Edinburgh Voluntary Organisations Council, (EVOC) who are committed to the vision of ‘working together for a caring, healthier, safer Edinburgh’. The Members’ key tasks will be to attend Edinburgh Health and Social Care Partnership meetings and ensure that the Partnership is provided with a service user and a carer perspective on agenda items. The members will ensure oversight and scrutiny of decisions and policies made by the Partnership. The closing date for applications is 31 January 2014. For further information, please contact Rachel Howe on 0131 529 6552. Further information about the Edinburgh Health and Social Care Partnership is available on the City of Edinburgh Council website. The EVOC office at 14 Ashley Place will be closed until 3pm on Tuesday 26th November, so that staff can attend our annual conference and AGM. We will be open from 3pm to 5pm on that date.